Easy push-fit into bottle neck. 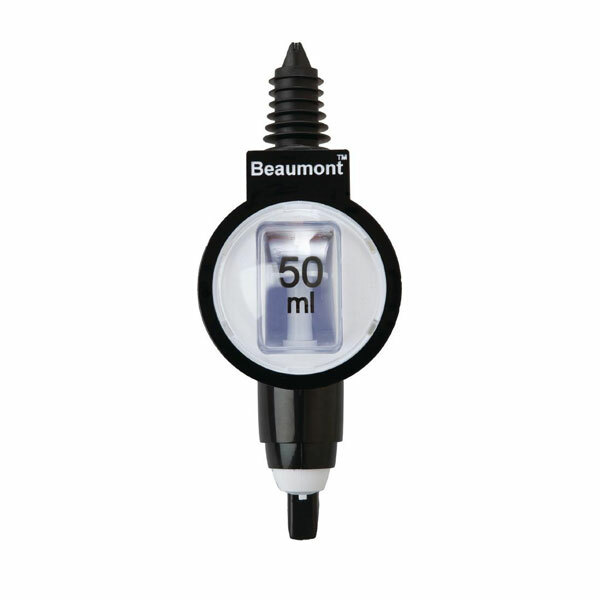 Just hold the glass to the lever for an accurate measure to be dispensed. 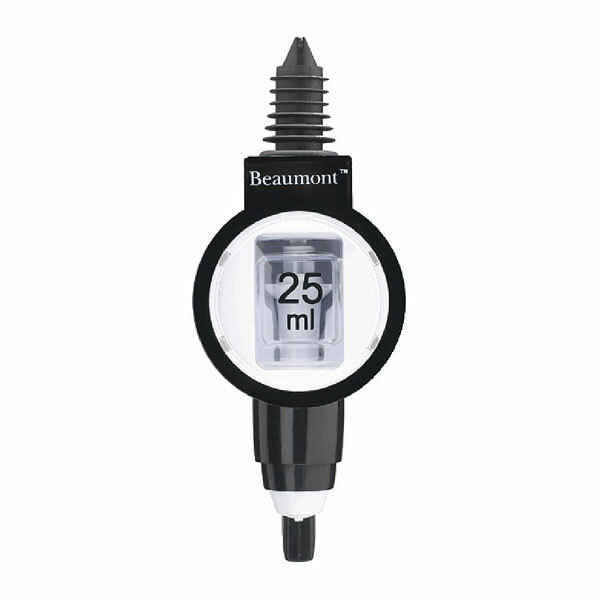 Note: 25ml shown for illustration purposes. 50ml supplied.